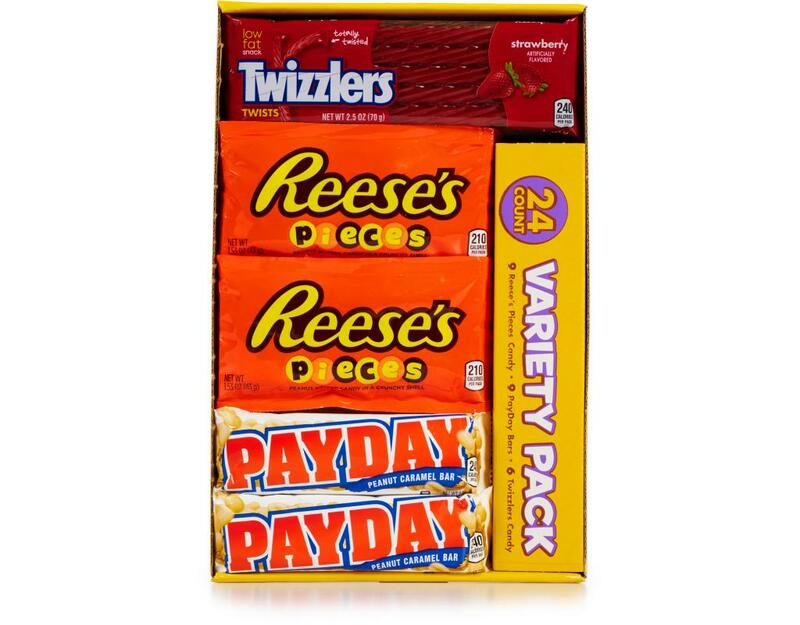 Stock your cupboard, concession stand or convenience store with this non-chocolate Hershey's full size candy variety pack! 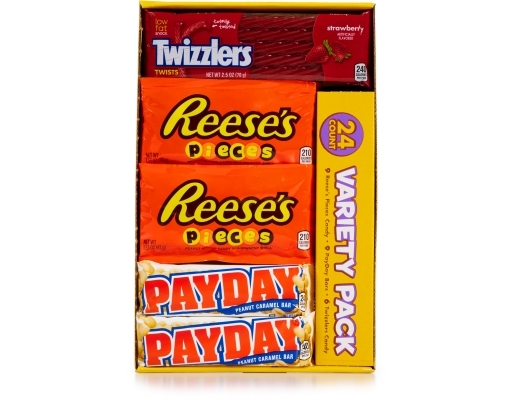 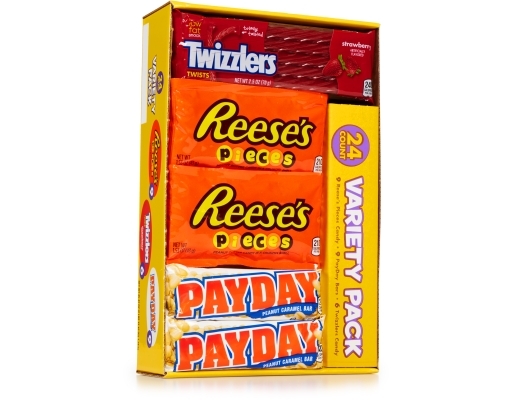 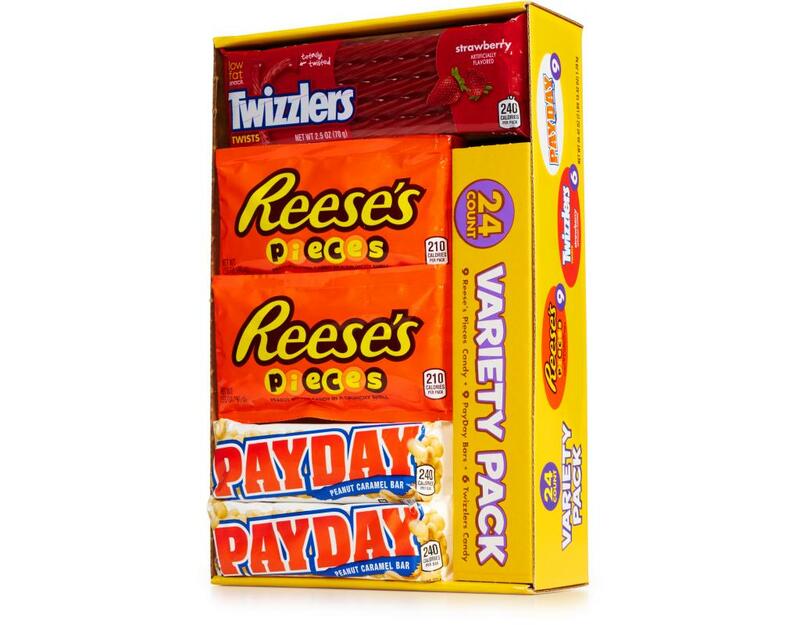 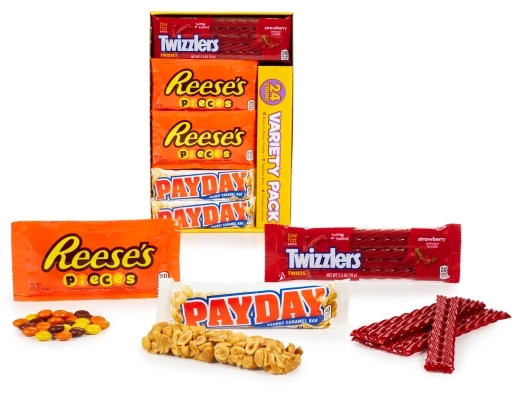 Featuring a selection of Payday Bars, Reese's Pieces, and strawberry flavored Twizzlers, this versatile pack will satisfy anyone's sweet tooth. 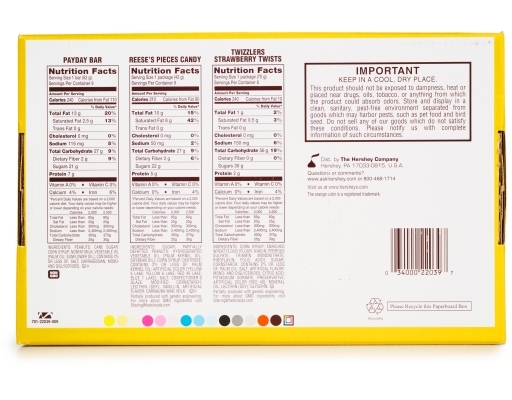 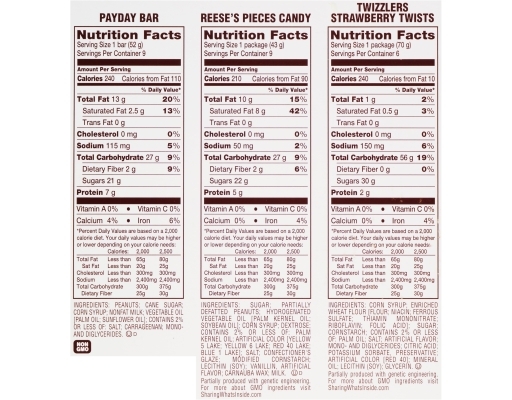 • Payday Bars: Can't get enough of the delicious combination of peanuts and caramel? 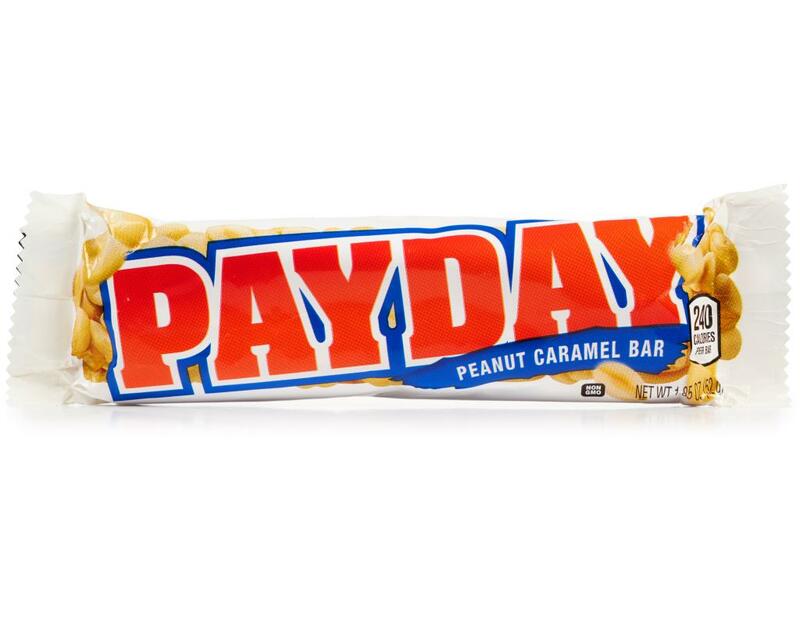 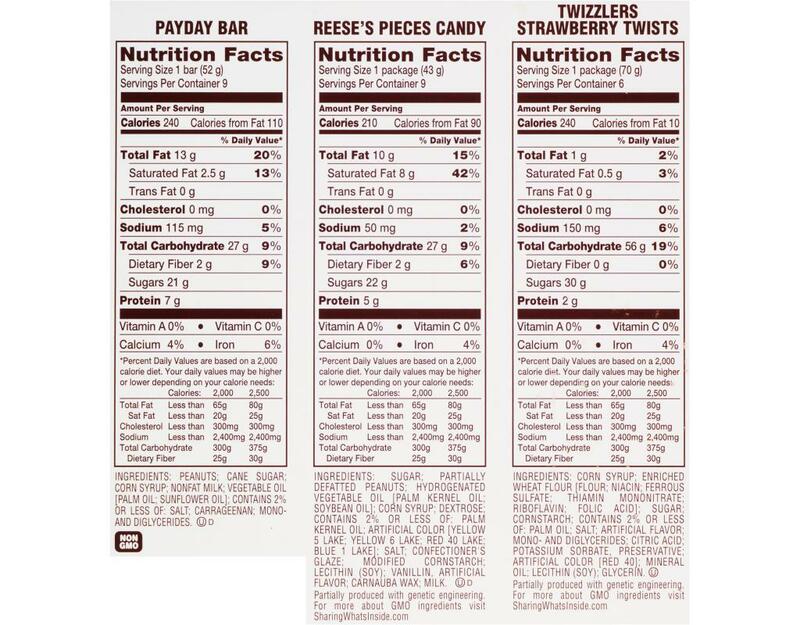 Try a Payday Bar. 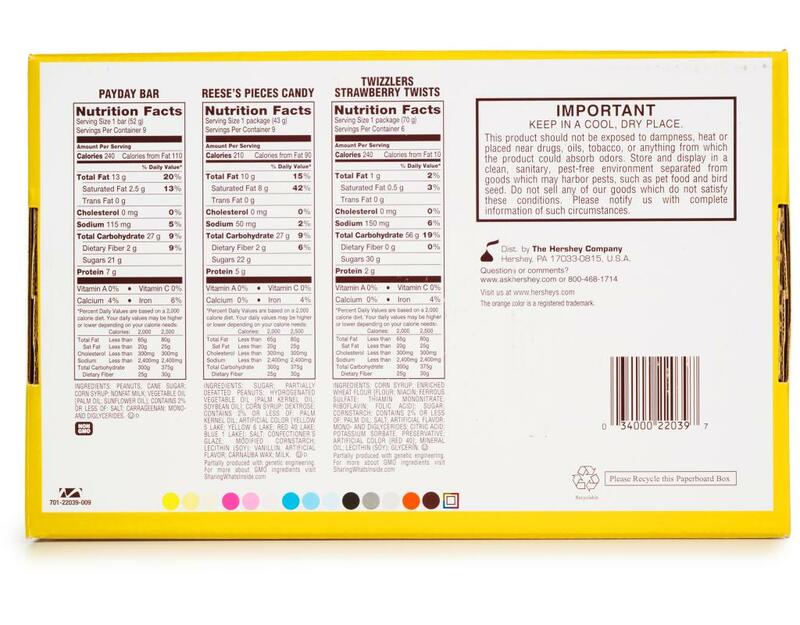 It's a crunchy, sweet non-GMO treat. • Reese's Pieces: Peanut buttery on the inside, candy on the outside. 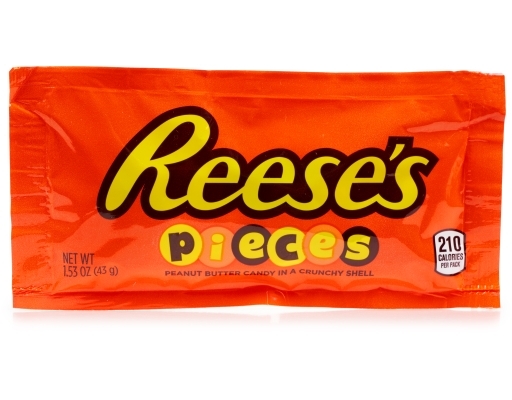 They're delicious and fun to eat. 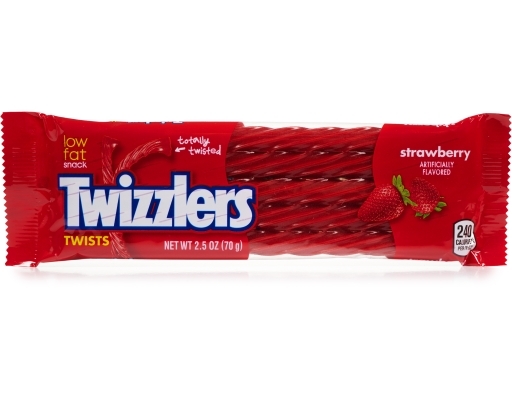 • Twizzlers: Twisted licorice with a bright red color and a fruity strawberry flavor. It takes about 15 hours to make Twizzlers Strawberry Twists, and a lot less time to eat one. Twist the day away with great flavors.